Business management is a professional field with endless career options and opportunities. Some of the jobs in this field can be abundantly rewarding, but experience blended with years of education is the master key. An MBA is a way to go, although some entrepreneurs and top leaders haven’t done much formal training. Everyone wants to have control over their work, which can take many years. A quicker path is to become an entrepreneur. They either start a business, develop an organization or launch an invention from scratch. Entrepreneurs call the shots in their start-up business. Information technology managers are in charge of decision making, planning, operations and other oversight responsibilities of a business within the IT industry. Whole systems or applications projects will rely on your vision. It will be your duty to inspire your team and motivate them to work toward achieving project goals. As a general manager, you’re in charge of a team of managers who handle various departments and report directly to you. A general manager must chart the course of the organization through strategic planning and decision making. It’s usually a high paying job. Most general managers rose through the ranks and manage to gain transferable skills along the way. A finance manager helps to monitor and advise on the finances of a company. You would report to the corporate executive who could be the CEO or the chief operations officer. A finance manager helps to steer the company by coordinating key performance goals and reports. Accounting qualifications are usually necessary to pursue a career in this field. A product manager oversees a product line in a company. His / her work is to maximize profits on a product. This could be by ensuring efficient and an up-to-standard production process. They also tune a product towards customer needs and direct marketing activities. This job requires multiple skills and suits people who can think on their feet in business and have technical skills that are relevant in the industry. A marketing manager promotes a business or organization after doing market research and product analysis. Marketing managers also study competition and strategize ways for the company to gain ground in the industry. These are the people who work with content creators to develop marketing messages, including for TV, radio and digital advertisements, and for print campaigns. A sales manager oversees the actions of the sales team. Their work is to motivate, instruct, mentor and lead the team to achieve targets. They also assist marketing managers in testing the markets for new products. Operation managers oversee manufacturing processes. They are in charge of managing the industrial operations as well as talent. Operation managers are responsible for maintaining positive energy among staff in production and ensuring they stick to schedules and meet targets. Construction management is one of the largest employment sectors. You certainly don’t need an MBA for this. What you need is an entrepreneurial spirit to run the show at your small family business. You can also get here by working your way up in a small business setting. You will be in charge of a limited number of employees, delegating duties to them and assisting in day-to-day operations. Human resource managers work to ensure that an organization’s staff deliver their best. Roles can be split so that you are in charge of one thing, be it recruiting, performance management, training or payroll among others. For success in this field, you’re advantaged by having a degree in a human resource course, possibly a masters degree to complement years of work experience. Business management jobs are always evolving. With many businesses starting there is a new opening for business managers almost daily. You’ve made a decision that you want to pursue a marketing degree. Maybe it is a personal decision, or other people have persuaded you because of your outgoing character. A marketing degree is meant to develop you as a professional marketer. Unlike other careers, marketing is for people who already have some inherent characteristics. Marketers are leaders, creative, competitive and outgoing. Before you decide to pursue a marketing degree, it is important that you know what to expect. Let’s look at some of the key things that you’ll learn from a marketing degree. These comprise many of the essential marketing skills you need for a successful career. As a marketer, you will be expected to be in constant contact with different key players. First, you will be taking instructions from the executives of the organization and in return give them appropriate feedback. In most cases, you will also be required to communicate with your customers. The degree will equip you with the essential communication skills, both written and oral. You will also learn how to incorporate modern technology in your communication. The knowledge of the degree will help you to interact with different groups in the target market with much ease. Poor communication skill is incompatible with a successful marketing career. The course takes into account that marketing is directly connected to other departments with organizations. One department that can influence the whole marketing agenda is Finance (it’s been compared to a marriage). You will learn how marketing can affect the overall financial position of the business. Courses also teach students on how to minimize the cost of marketing and while generating good profits. This subject emphasizes on how to gain more Return on Investment (ROI). The knowledge will help you to monitor and manage your finances properly. Marketing is directly linked to the existing structures of the economy. Marketing students are taught about the existing structures of macro economy and how they affect people. One and the most popular goal of marketing is to attract more buyers. The ability of the potential customers to spend money on the products will depend on the state of the economy. During the course, you will be familiarized with different states of the economy and how they affect the consumers. You will also learn about some common problems that affect the economic structure. These issues include inflation, employment rates, and interest rates. With your marketing degree, you will be more flexible when dealing with these matters. Marketing is not something that happens randomly. Marketers need to have some prior knowledge about the existing market before making any meaningful step. Students pursuing a marketing degree are taught how to conduct research. You will also learn how to use different research tools and the techniques to apply when collecting data. In addition to the research, you will also learn how to analyze the data collected from the field and how to produce insightful reports and useful metrics from the data analysis. Successful marketers connect with their customers. They can do this because they study the psychology of the consumers. A marketing degree will give you a deeper understanding of the consumer behavior. You will gather more information on how to analyze the attitude, perception, and personality of different customers. From a strong knowledge base, you will be able to make a connection between consumer behavior and buying culture. The degree will also help you understand how social factors such as religion can influence a marketing effort. You will learn how to deal with people who have different social backgrounds. Marketing is one dynamic field. A good marketer should be open to these changes and take them positively. A marketing degree highlights on some of the emerging technologies and how marketers should use them to their advantage. The degree will help you to have an in-depth understanding of the latest developments such as social media marketing and other types of digital marketing. You will learn how to use the latest methods of advertisements so as to reach your target market. You won’t have to go back to classes to be acquainted with the latest trend in marketing. In any economy, there are businesses that depend on each other for their existence. In your marketing career, there will be projects where you’ll be required to market your business to other businesses. 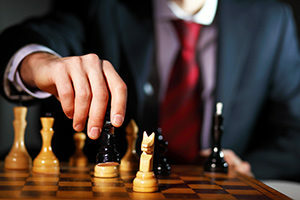 The degree will help you to create a beneficial connection between two companies and execute a successful marketing campaign. Many business schools have introduced online MBA programs. These address cost, time and travel challenges with traditional MBA education. For instance, not many professionals would willingly forego earning their salary to study. Taking an on-campus course also requires constant travel to and from a higher learning institution. For many people, getting a Master of Business Administration degree is the epitome of academic and professional excellence. It propels the graduate to a new level of academic achievement and opens a wider range of possibilities, such as broader career options, and promotion and salary increment opportunities. An online course is the most convenient way to get these benefits. An online program involves very little or no on-campus visits at all. Rather, the student takes the MBA coursework and examination remotely, in a convenient and flexible manner. He or she uses the internet to stream video lectures, download and submit assignments, and take part in virtual class discussions via chat rooms, and video conferencing. Since different graduate schools offer online MBA programs, the programs might differ in quality, courses on offer, course content structure, mode of delivery and specialization options available. Despite these differences, however, the online MBA course has four semesters and takes between 18 – 24 months to complete. During that period, the student must dedicate at least 20 hours per week to coursework and some hours for out of class study. 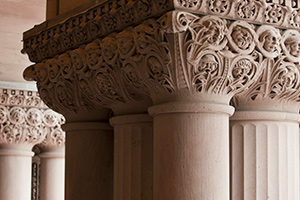 Even though the each graduate school might have its unique admission procedure, the concept is relatively the same. An applicant must meet the course academic prerequisite. Moreover, he or she must submit a detailed admission application form, and attach a Curriculum Vitae together with the academic transcripts. The condition for an online MBA course is an undergraduate degree awarded by an accredited higher learning institution, and or sufficient professional experience. Most graduate schools focus on the applicant’s GPA and not so much about the candidate’s concentration. Some colleges, however, might require non-business major undergrads to complete accounting, management, finance or marketing courses to equip themselves with basic business principles. It is also common for students to write an admission essay as well as provide their latest GMAT scores. To access the course, a student must log into their respective account. On the dashboard of most online MBA education platforms, there is a list of the classes the student has registered for, the course syllabus, content, study guide, assignments, and lectures. Some course management systems also include discussion boards, chat, and instant messaging features. One of the attractions of the online MBA programs is that they are asynchronous, making it possible for the student to access the study materials any time be in night or day. The student can, therefore, conveniently forward or replay the lectures for better understanding. Upon finishing the assignments, the student submits them to the professor either by emailing or through a Dropbox upload. When it comes to exams, different graduate schools have different rules. There are those who require the student’s physical presence on the campus during the review. Others, however, are OK with the candidate taking the online exam as long as there is strict invigilation via webcam, or they are timed examinations. Whether the school is a private or public and the amount of federal funding it gets. Technology and study materials like computer hardware and software, textbooks, publications, journals and course packs. The internet data bundle package subscription the student uses. When picking an online MBA course, one should be careful and go for the best course that suits your budget, career goals, and interests. Just because a school charges exorbitantly, it does not guarantee that it offers a superior education. The good thing with most quality online MBA programs is that they provide support for students to supplement the study costs. These include scholarships, institutional and non-institutional grants, federal aid plans and student loans. Access to the study material anywhere and anytime. Studying at one’s speed and convenience (Online Study Australia). The option of taking part-time and accelerated programs online. Ability to connect with many students digitally. The satisfaction of balancing between work and advancing one’s academic pursuits. Many colleges and universities are offering online MBA programs. The programs differ regarding pricing, content and also the mode of delivery. All these make it daunting for a person to identify the right school in which to enroll. However, by considering the following factors a person can make the decision process manageable. The reputation of the school: Enroll in an institution that is accredited and has positive rankings and ratings. Field of Study: Determine the area of specialization that you want to concentrate on and enroll in a program that offers that. Convenience: Online courses should provide comfort. Look for a course that fits in well with your professional, family and social life. The cost of the program: Enroll into an online MBA program whose costs you can manage. There is no point in enrolling only to drop out midway due to lack of funds. Leadership involves guiding a particular group of people towards a common goal. Each organization and individual may use different styles of leadership at different times. The style of leadership used should draw the best out of the employees. Leadership is more about the needs of the organization rather than the needs of individuals. Here are 6 leadership styles and when to apply each. Participative leadership is where the leader works hard for buy-in by seeking employee input. The leader encourages and involves the employees in management decision making, also ensuring they know their decisions have been heard and considered. Sometimes, the employees are rewarded for their team effort. This style works best in a steady environment where employees are working together, and the staff has credibility and experience. It is less efficient in crisis or fast-paced situation where there is little time for meetings. The employees must be highly coordinated. If an organization requires significant internal change, participative leadership is the best style. Workers play a role in the process of minimizing conflicts within the organization. If the organization needs to bring about a feeling of belonging or bonding to the organization, an affiliative style is more suitable. It is meant to prevent conflict by creating harmony between teammates. It would translate to: people come first. The style works best when there has been a trauma or any other stress associated with management. It is also effective when the performance of the employees is inadequate. Affiliative leadership complements other leadership styles. With pacesetting, the leader models self-direction and excellence. He or she expects employees to do the same. The leader sets a high standard and employees follow the example. The workers managed need to be a team of experts that require little or no coordination. The employees must be highly competent and motivated. The style is least effective where workloads are heavy and assistance is required from outside parties. Pace-setting can stifle innovation and overwhelm team members. Authoritative leadership focuses on end goals. The leader drives the employees towards a common vision leaving it up to each to attain. The authoritative style means “Come with me.” It requires the leader to be very firm but fair to the employees. The workers receive feedback on goal attainment as a way of motivation. The leader should be credible, offering a clear direction and the standards needed. If the leader lacks credibility, the employees will not buy in to in his/her vision. The employees need to be sufficiently developed to require only limited guidance. Coaching is where the leader works on developing individuals with the aim of improving their performance. It is meant to develop the employees’ goals as well as those of the organization. The manager has a development role. Employee motivation comes from providing workers who perform well with greater opportunities. The style works best for developing employees who need to acquire new skills. They shouldn’t be defiant or unwilling to learn. The leader, on the other hand, has to be an expert and proficient. The style should be applied with caution. Employee self-confidence can suffer, especially if they perceive their leader as micromanaging. A directive style is about a manager setting clear requirements for the team. The leader closely controls employees by disciplining them or through the threat of discipline. It works best in times of crisis where deviations are risky. The employees need to be experienced since the style does not support learning and development well. Just like coaching, experienced employees might resent a lack of autonomy. Each organization and leader has to be able to adapt leadership style depending on the situation. Successful leaders adjust to the circumstances, capitalizing on the relative strengths of each style. MBA management training programs teach students different leadership models that can be drawn upon selectively. Supply chain management is the organization of activities which bring goods and services to people. After waking up this morning, you ate breakfast… milk, bread, fresh fruits, eggs and the like. Don’t undervalue the fact that you can enjoy these products. The process of making that bread and eventually delivering it to your table is not short of miracle. There are numerous activities, functions, people and transactions involved in manufacturing and delivering it. All these activities, functions, people and transactions are connected together as a chain (the supply chain); through which physical products like bread and virtual elements such as information flow constantly back and forth. To create maximum value for that bread, all participants within the supply chain have to carry out their functions and coordinate well with each other. The process of coordinating different elements is known as supply chain management (SCM). It complements the operation of markets, by which suppliers and buyers coordinate activities through price signals. Supply chain management is the oversight of products, information and finances as they flow in a process from suppliers to manufacturers to wholesalers to retailers to consumers. This involves managing the movement and storage of raw material, work-in-process inventory as well as finished products from the point of origin to the point of consumption. SCM drives coordination of activities and processes within and across finance, marketing, sales, product design and information technology facets. Typically, SCM attempts to centrally link or control the production, transportation and distribution of products. SCM is an integrating function whose primary responsibility is linking major business processes and functions within and across organizations into a cohesive and high performing business model. It represents a conscious and cumulative effort by different organizations to run the supply chain efficiently and effectively so as to achieve competitive advantage and maximize customer value. Planning—the organization must have a strategy for managing the resources required to meet customer demand for their products. Sourcing—next, the organization has to choose suppliers of the raw materials needed to create their products. This also involves setting delivery, pricing and payment processes with suppliers and creating metrics to be used to monitor and improve the relationships. Making—this is the manufacturing stage. It involves scheduling the activities required for production, packaging, testing and preparation for delivery. Here, companies must be able to measure quality levels, worker productivity and production output. Delivering—in this stage, organizations coordinate the receipt of customer orders, develop a warehouse network, pick carriers to transport products to the customer and set up invoicing systems to receive payments. Returning—Lastly, Supply chain managers must create a flexible and responsive network for receiving excessive and defective products back from the customer as well as supporting customer complains. The fundamental focus of supply chain management is understanding customers as well as their values and requirements. Organizations must seek to understand exactly what customers expect from their product and then focus their efforts to meet these expectations. Companies have to make investments in technology that will enable them to access lots of timely information. Proper information flow is vital to the visibility of products as they move through the supply chain. It can be achieved by developing partnering relationships with all members of the supply chain. Finally, organizations must adequately consider various techniques to measure how successful they have been at delivering value to the customer. Boosts customer service. Supply chain management affects customer service by ensuring the right product quantity and assortment is delivered in timely fashion. Through effective SCM, products will be availed to the exact customer location. The customers will also get quality after-sale support. Improves bottom line. SCM lowers the usage of various large fixed assets such as transportation vehicles, plants and warehouses in the chain of supply. Also, it increases cash flow because once product delivery can be expedited, then profits will be received quickly. Provides a medium for sharing of information between supply chain partners. Maintains greater trust between supply chain partners. Allows for ethical and sustainable investment (Investing Responsibly Resources Center). Exchange of real-time data increases the speed of transactions. Increases business revenue by satisfying the demands of customer more efficiently. Interestingly, SCM is an important aspect of civilization. Most of the world’s largest supply chains are marvels of teamwork and coordination. Brilliant SCM enables companies to achieve international growth; sure, not all business organizations have good motives, but SCM is an important tool for those trying to impact good globally. SCM within a well functioning society creates employment opportunities, decreases pollution, lowers energy use and improves the living standards. It’s nice when gas prices stay low, and this is most definitely a result of excellent Supply Chain Management. But it’s natural calamities that need SCM the most. When hurricanes arrive unexpectedly, when tsunamis appear relentlessly, when tornados hit land, when droughts persist, such are the times when all resources and thought poured into SCM pay off greatly. Supplies can be taken to where they’re needed at surprising speeds, and that’s a beautiful thing. Clearly, SCM has a significant impact on business and society as a whole. Looking to the future, it must be understood that supply chain management is always evolving. Emerging technologies and successful SCM techniques being used by businesses today form the foundation for future improvements in efficiency, cost savings and customer value addition. Managers are members of an organization who are charged with the responsibility of supervising other members. Typically, there are 3 primary levels of management: top, middle and lower. These levels of authority form a hierarchy. Each level is discussed in this article, along with the chief responsibilities. Most business management careers span all levels of the hierarchy, although there are some exceptions (e.g. entrepreneur, general manager, and small business owner). Top managers are the highest level managers in the business management hierarchy. Their job is complex and demands complete commitment and dedication to the organization. They are carry a high amount of responsibility for the success or failure of the organization. Top managers include Board of Directors, Chairman, Managing Director, President, Vice President, General Manager, and Chief Executive Officer. Develop the long-term objectives. Top managers develop the long-term objectives such as manpower planning, distribution of capital, and expansion of the business. Framing of policies and plans. They formulate and lay down the guidelines for the departmental heads; such as policies relating to production, personnel, marketing, public relation and finance. Making key appointments. Top authority appoint the key personnel (such as the departmental heads) so as to develop a structure that ensures profitable growth of the organization. Organizing. Top-level authorities organize the enterprise into various department and sections to achieve the set objectives. They also organize the activities to be carried out by executives in middle management. For example, they may look to integrate human resources and digital marketing staff and functions. Controlling. They periodically review the work of the executives at various levels to ensure that their performance is at par with the set plans of the organization. Middle managers act as the link between the top authority and supervisory management. They implement and control strategies and plans formulated by top-level managers. They have a tactical role. Middle managers receive instructions and orders from top-level authority and pass them to lower managers for implementation. This level comprises of heads of the various department such as production manager, finance manager, sales manager, and marketing manager. Interpreting the policies formulated by the top authority to supervisory level. Middle managers act as the linking pin between the top level managers and the lower level supervisors. They only explain the main policies and plans framed by top management to supervisory level. They organize the activities of their department to ensure execution of policies and plans, such as online training. Being the heads of departments, middle-level managers organize all the activities and resources of their respective department. Appointing and recruiting employees for their departments. They look and select employees to work under their departments. Assigning duties. They assign responsibilities and duties to supervisory and operative personnel to ensure execution of their respective departmental plans. Communication. They communicate decision and orders downwards and also carries complaints and suggestions upwards. Coordination. They cooperate and coordinate with other departments to ensure smooth functioning of the business. Lower-level managers are also considered as supervisory or operational managers. They are the first-line managers who oversee the implementation of policies and plans by the workforce in an organization. They consist of forepersons, inspectors, supervisors, etc. Represent the grievances or complaints of workers before the middle managers. The operational level managers directly link with subordinates and therefore, are able to understand their grievances better. They pass these grievances to the middle authority. 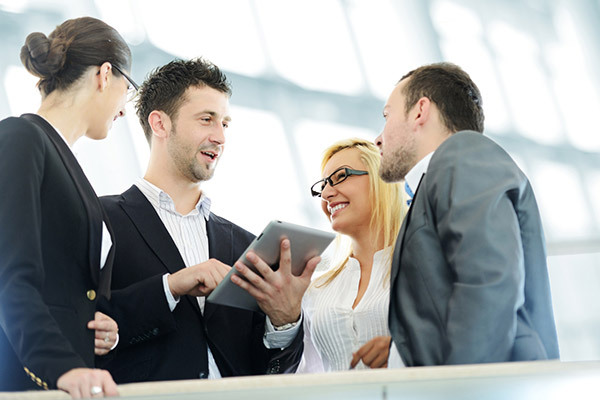 Develop healthy relations between the middle managers and subordinates. The lower level managers create supportive working environment and conditions to improve the relations between subordinates and top supervisors. Assist the middle-level managers in selecting, recruiting, and appointing workers to the department. The supervisory managers help and guide the middle managers when they recruit and appoint employees. They motivate the workforce; being responsible for developing team spirit and boosting the morale of the workers. Looking after the safety of workers. Supervisory managers provide secure and safe working environment for workers. Discipline. Operational managers maintain discipline among the workers by taking corrective actions when necessary. Training. They arrange for the training of workers in the workplace. Having a clear business management hierarchy in place enables enterprises and organization to succeed and remain competitive. It enables everyone in the organization to understand their duties, helping to create a smooth workflow. You can expect significant changes in tasks and responsibilities as you move up the hierarchy across the breadth of management functions. Performance management is a continuous process by which managers and employees work together to create an effective workforce unit to achieve business goals. It is vital to achieving greater organizational success. Performance management has both tactical and strategic elements. The strategic aspect is about setting attainable goals for the business and developing high competence and capability. The tactical side is concerned with creating an environment in which employees are motivated to stand out and exercise their talents. This is the first and crucial step that involves defining employee’s goals and aligning them with the corporate strategy. An effective planning process begins by analyzing the exact goals you want your organization to achieve, as well as developing sound strategies to realize them. Goal-setting should be a collaborative process between managers and their employees, and managers should ensure that the major job functions and responsibilities are addressed within a clear goal framework. Haphazardly stumbling towards goals will only end in disaster, it’s therefore very important that goals be realistic. A rigorous monitoring process is very important for any performance management process to succeed. It involves monitoring the progress of each department, employee, and also providing the employee with constant feedback. You’ll have to monitor each step very closely to ensure everything is on track according to your plan. If areas seem to be lacking, you will be required to take appropriate actions to improve them. Nowadays there are performance management tools on the market that can help your company keep track of the ongoing progress of your employees. This simply means that employees can also track their performance, thus gives them ownership of their own development and which is an important quality to cultivate in effective employees. Managers need to encourage further development and improvement right after they have monitored their employees for a certain period of time and through a number of ways. If employees are on target to meet the goals aligned with corporate strategy, smart and effective performance managers will not just stop there, but rather encourage practical ways to stretch the capacity and potential of the employees to go beyond their indicated goals. Performance appraisal should include observing, listening, giving positive feedback, and also providing recognition. However, the most important part of the process is to provide feedback on what employees have successfully learned, what they still need to learn, and create a plan that will help the employee to develop those indispensable skills. This way, you will enhance employee’s growth and also the health of the company since employees have a greater sense of loyalty to organizations that develop talent from within; therefore, they become more engaged in their work. Also, these development plans allow the organization to build a talented team of employees for strategic succession planning. Performance management success is largely based on the rewards and compensation elements. In fact, the appraisal process is not complete if there are no rewards and recognition. Managers should therefore make formal rewards and recognition part of the performance management process to motivate teams and employees that have met or exceeded performance targets. Rewards and compensation for good performance is actually the practical way to improve morale, employee satisfaction, boost productivity, and help your organization move closer to your goals. This way, employees can strive towards qualifying for the same at the next performance appraisal through continuous involvement and contribution to the company’s goals. Also, managers should make sure that rewards and compensation programs are fair and equitable based on a formal record of exceptional performance. 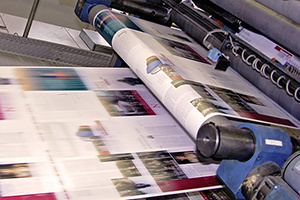 One of the most important and in-demand business functions in any industry is commercial printing. Both business and offices alike benefit from hiring a commercial printer, which can lessen the load of their printing jobs. Since using an in-house desktop printer may not be enough to print more complex printouts, hiring a commercial printer is often the best choice. If you are in the business of selling products and services, it helps to present your products and services in a positive and creative way. With the help of a commercial printing shop and downloadable stationery and packaging designs (Office Organiser), this is highly achievable. Think customer first. You would not want your customers or target market for that matter say discard your printed material such as brochure, catalogs, postcards or other medium just because it was poorly printed. Remember that your material is an extension of your company. Whether you admit it or not, you would also love to receive a material for advertisement or promotion which gives great emphasis on quality image and text print. Having ordinary printed materials may not necessarily equate to poor and unstable company. However, customers may think differently. Whatever you give them is an extension of your company. With a poor first impression, they may not even be interested in knowing about it. To make a good impression, you may be able to use the top-notch commercial printer in your area. As an overall service, it should meet standards regarding stability, reliability, fast turnaround time, good prices and good customer service. Why do we have to put so much effort in coming up with a top notch printed medium for our business? This is because of the power of perception. Whether we like it or not, we often associate a company with the products they have. If the product is something that we do not buy because of poor performance, our tendency is to perceive and equate the company with its products. It may be odd but the quality of a simple printed material can have a strong psychological impact on the person reading it. Consider the simplest marketing tool: a flyer. It may look simple and you often see it anywhere being read or passed around from person to person. It is a simple flyer but consider this. Something is passed on to you with highly creative imagery and design; the text and the feel of the paper has a luxurious quality. It is definitely printed at the highest quality printer possible. Would you let it pass by you? Even the simplest form of marketing tool that passes through quality printing will not be bypassed by people taking hold of it. That is one great advantage that a company could have over its competitor. A commercial printer can be enormously valuable to your business. It can bring your promotional materials or any other printed items to the next level. Management is working with people to progress organizational objectives. It makes processes function efficiently, smoothly and easily. Without management, businesses and other organizations would be in chaos and struggling to perform. Being such an all-encompassing activity, management has diverse components. Different authors of books, magazines other publications understandably have different ways of looking at what management functions are. It can be considered to all come down to 4 tasks: planning, organizing, controlling and supervising. Anything else (such as monitoring, directing and designing) can be considered sub or overlapping functions. For anything needing to be completed, planning is always the first stage. Planning is where the manager establishes the vision of the organization and sets goals, objectives and strategies towards achieving them (Just Business Today). Organizing is putting together the activities needed to attain objectives and deploying people to carry out tasks. Since the conditions affecting the organization’s pursuit of goals are constantly changing, the organizing process will be in flux to adjust. Controlling is the management of processes to ensure standards are met satisfactorily. Standards, which are set during the planning stage, include budgets, sales quotas, product quality, and production volumes and costs. Among the 4 major functions of management, supervising often takes up the most time of a manager. It includes motivating and inspiring staff, coordinating job activities, instructing, training, guiding and providing counsel. Project management is the activity of defining and achieving specific objectives. The challenge in project management is to optimize the integration and allocation of inputs needed to meet the objectives. The project is a carefully selected set of tasks which use resources (such as people, time, capital, materials, energy and space) to meet goals. The final objectives are defined in a negotiated agreement among project stakeholders, usually in the form of a charter or contract. Often an individual project manager is responsible for seeing that outcomes are achieved. He or she may not participate directly in the activities which produce the end result. Instead, the manager works to keep tasks progressing and the different parts of the operation harmonized. Project managers also need to manage risk. A project is a non-ongoing endeavor to create a product or service. It contrasts with processes (or operational) management, where the same product or service is created repeatedly. The two management systems can be very different and require different technical skills and philosophies. Project management tries to gain control over 4 variables. The first, time, is typically broken down for analytical purposes into the time required to complete the components of the project. This can be further broken down into the time required to complete each task contributing to the completion of each component. The second is the cost of developing a project, which depends on variables such as labor and materials, risk management, plant, equipment. Another variable is scope – what the project is supposed to accomplish overall and a specific description of what the end result should be. And lastly are project risks – potential points for failure. Most negative risks (or potential failures) can normally be eliminated or minimized given enough planning capabilities, time and resources. To properly control these variables a good project manager should have deep knowledge and experience in these 4 areas and in 6 others as well: integration, communication, human resources, quality assurance, schedule development, and procurement. The key to effective project management is control. Project management tools are available to make it easier, including milestone tracking software. The project manager needs to keep the whole process on-track, on-time and within budget.